Back in July, This West Coast Mommy marked two years of blogging. Two years deserves a big giveaway, and this is it! Okay, okay, it's a little late (or a lot late), but better late than never, right? Regardless, she's celebrating two years and some change worth of blogging with this awesome giveaway for a LÍLLÉbaby Baby Carrier. SIX ERGONOMIC CARRYING POSITIONS – Includes every carrying position without the need for an infant insert: front-fetal, front-infant, front-outward, front- toddler, hip, and back carry. The Complete grows with your child through all the baby wearing years, from 7 lbs to 45 lbs. The patented cupped seat adjusts to keep baby ergonomically seated in all six carry positions through every developmental stage. TWO-WAY STRAPS – Enables wearer to carry "backpack style" or with straps crossed in the back. Dual adjustment buckles simplify breastfeeding and adjusting straps on the go. SLEEPING HOOD – Features dual adjustment points to provide tailored support for baby's head while sleeping, sun protection while exploring, and privacy while nursing. Removable. POCKETS - Large zippered storage pocket, plus easy reach pocket for storing hood and essentials. WIDE, PADDED SHOULDER STRAPS & WAIST BELT - Evenly distribute baby's weight for maximized comfort. Got an older toddler? LÍLLÉbaby also makes the wider and taller CarryOn Toddler Carrier for babies 12 months and up, 20-60 pounds. Make sure you connect with our generous sponsor LÍLLÉbaby on Facebook, Twitter, Pinterest, and Instagram. One VERY lucky reader will win any in stock LÍLLÉbaby carrier. 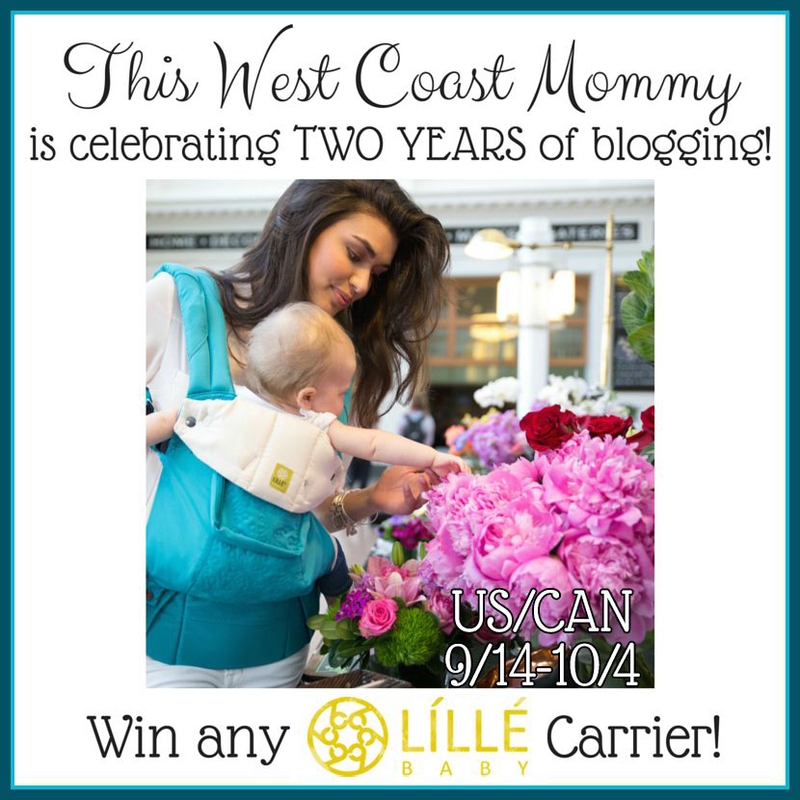 That's right, the winner will be able to choose any Complete or CarryOn carrier, even This West Coast Mommy's favorite, the new Embossed carrier! Enter in the giveaway widget below. This giveaway is open to residents of Canada and the US, 18+. All entries will be verified. Ends Oct 4, 2015 at 11:59 PM Eastern Time. Disclosure: I was not compensated for posting this giveaway. 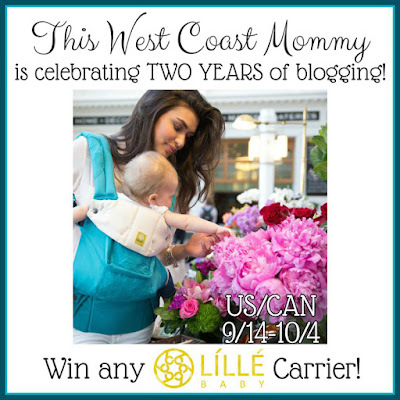 This West Coast Mommy and participating bloggers are not responsible for prize fulfillment. Please contact olivia@thiswestcoastmommy.com with any questions about this giveaway or to sponsor your own event. If I win, I will choose the complete embossed in teal. I sooooo need this for my son! I would choose the Complete Airflow Grey with Silver .